OWI Chlor Alkali is committed to providing you with powerful business tools, strategic insight and analysis on the industrial chemical market. Please use the filters below to explore industry resources, including downloadable presentations and industry reports from OWI and respected publishers. NAME / LOCATION: Lock 52, Mile Marker 938.9 OR, about 43 miles upriver from Cairo Point. Cairo is the intersection of the Lower Mississippi River, Ohio River and Upper Mississippi River. STATUS: Closed to Commercial River Traffic. ISSUE: The lock is unable to raise the wickets doue to the velocity of the river and the breakdown given the age of the equipment. The wickets are the part of the lock that move to retain water and build the pool and increase the depth of water making commercial traffic possible. USACE is suggesting 2-3 weeks to repair the Lock. MITIGATION: The replacement lock, Olmsted Lock & Dam is only about 80% complete, so is not yet in complete so is not yet in complete service. The other legacy lock, Lock 53, has had the lock chambers removed, but the wickets were left in the down position. Formosa Chlor Alkali and Specialty PVC Division are declaring a Force Majeure on all of its prodcuts. Updates will be posted at www.fpcusa.com/myformosa/customer/index.html. Tropical Storm Harvey Status Report Rain continues to accumulate in the greater Houston area, moving across Texas into Southwest Louisiana. Tropical Storm Harvey continues to move slowly (2-3 mph) after making landfall Friday evening around 10 pm Central Time as a Category 4 Hurricane near Corpus Christi. Flood warnings remain in effect for the area. Maximum sustained winds are near 45 mph. The NOAA said at 7 am Central Time on Tuesday that Harvey is expected to produce additional rainfall accumulations of 7 to 13 inches through Friday over parts of the upper Texas coast into southwestern Louisiana. Click on the link to view more information in regard to plant closings. Check out the impact of Hurricane Harvey on Caustic volume. By selecting the "calculator" icon on OWI's Chlor Alkali interactive map tool, you can see the impact of Hurricane Harvey on caustic volumes in Texas and Louisiana. The Port of Corpus Christi, the nation's leading port has been shut down. 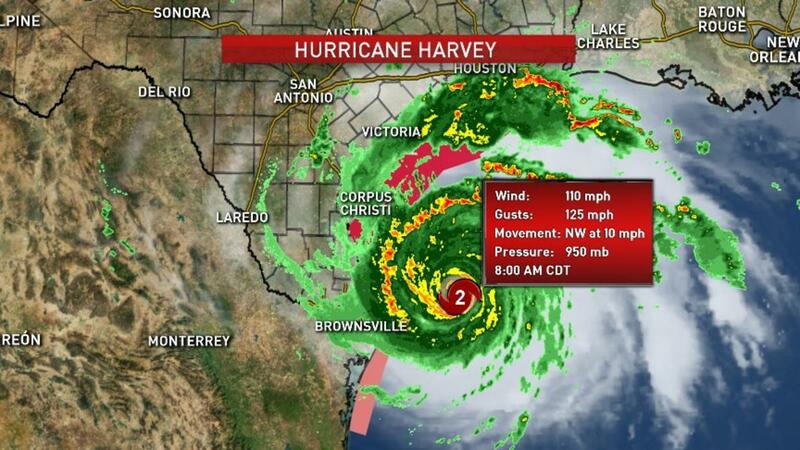 Hurricane Harvey made landfall on the Texas coast late Friday and was downgraded to Category 1 by mid-Saturday. But even a downgraded storm could leave a lasting impact on the Texas economy and America's energy industry. Texas's Gulf Coast is home to key oil and gas facilities that make up nearly a third of the nation's refinery capability. The storm forced and evacuate personnel. The Port of Corpus Christi, the nation's leading port for crude oil exports, and the Houston Shipping Channel have both shut down. Liquid caustic soda price increase announced. Rising Chinese Export pricing continues to put pressure on the US West Coast, as a large trader announced a $20 per dry short ton increase for June 1st implementation. Recently, a large producer nominated a price increase of approximately $70 per dry short ton for immediate application or as contracts permit. Most likely, actual implementation will occur on July 1st. The remaining US Producers are all expected to follow. US Formosa issues force majeure on Point Comfort chlor-alkali. HOUSTON (ICIS)--Formosa Plastics USA declared force majeure on Tuesday at its chlor-alkali plant in Point Comfort, Texas, after a “torrential thunderstorm” rendered the plant inoperable, according to a company letter to customers. Natural Gas Prices Could Plunge Below $2.00. To learn more, read the article posted on Yahoo! Finance.